This is the industry standard Low frequency High power amplifier. 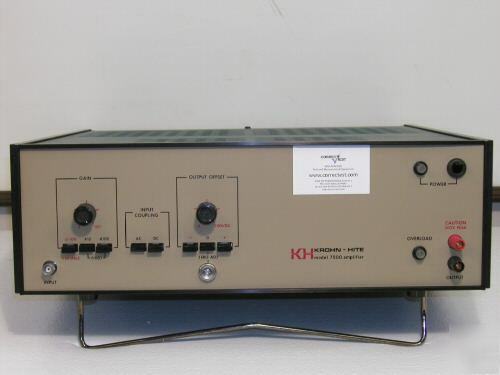 DC-1Mhz frequency response, 75 Watt output. Contact Correctest Inc. for all your equipment purchase and rental requirements !